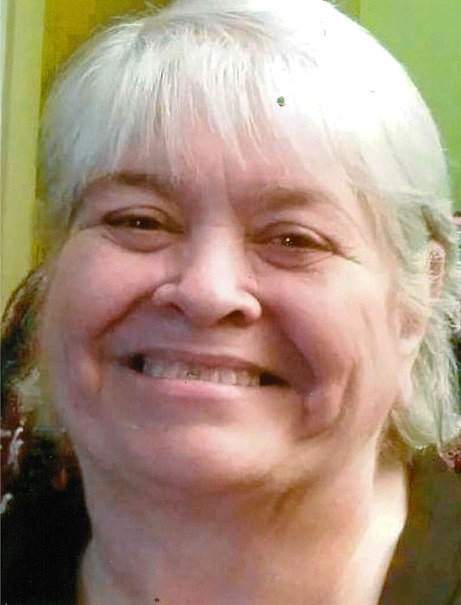 Mary E. James, 66, passed away January 29, 2019 at Golden Living Center, Tell City. She was born in Tell City, Indiana on August 1, 1952. A homemaker, Mary enjoyed cooking, family gatherings, spending time with her grandchildren and great grandchildren and adult coloring books. Surviving is her husband, Larry James, Cannelton; her children, Rodney Lamkin (Tanya), Dubois, Jennifer Baumeister (John), Tell City, David Dartt (Amy Davis) and Johnny Dartt (Chelsey), all of Cannelton; 10 grandchildren, Jonathon Lamkin, Courtney Baumeister, Jennifer Cronin, Amber Coyle, Johnathon Dartt, David and Cody Dartt, Katilyn Bernardi, Brody and Zander Tabor; eight great grandchildren; a sister, Eva Vogt, Cannelton; brothers, Daniel and James Applegate, Cannelton. Preceding her in death was her father, Wilbur Applegate; mother, Emma (Huck) Beard; a sister, Beulah “Polly” James; brothers, Chuck, Wilbur, Henry “Frankie” and Paul Applegate. Funeral services will be at 1:00 PM CST Thursday, January 31, 2019 at Huber Funeral Home, Cannelton Chapel. Brother David Humphreys will officiate. Burial will follow in Derby Cemetery. Visitation will be held on Wednesday from 2:00-7:00 PM and Thursday 9:00 AM – 1:00 PM. Memorial contributions can be made to Golden Living Center Activity Fund.